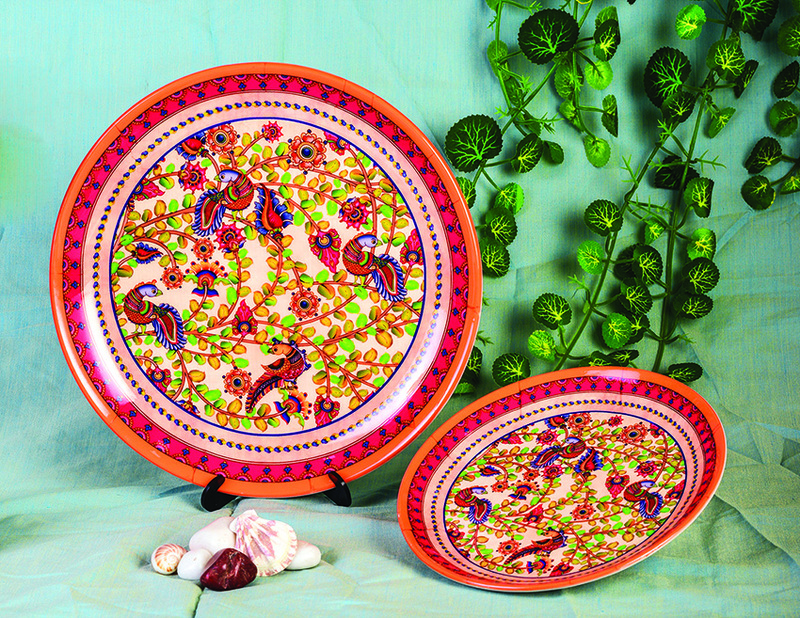 Add a tinge of cultural grandiose to your home with these Kalamkari themed digitally-printed ceramic wall plates from Kolorobia. 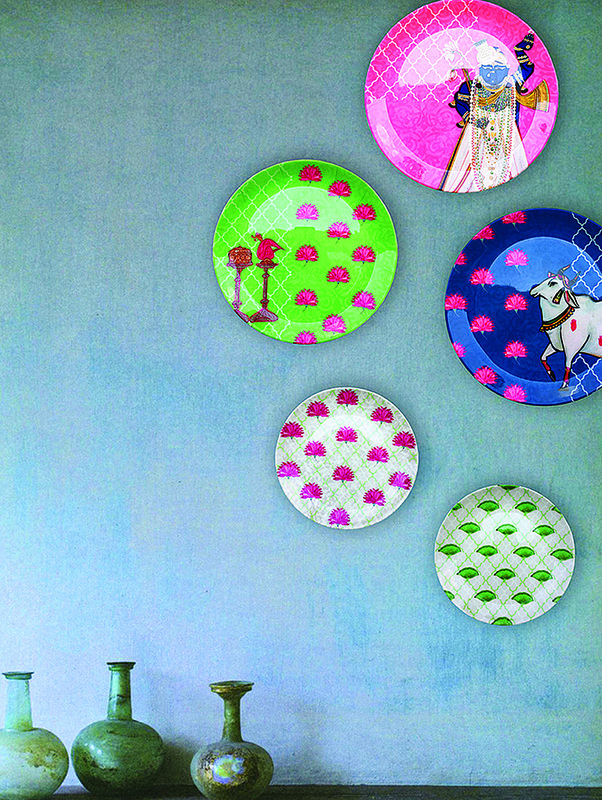 Nature and Indian deities feature in these plates in a contrasting vivid colour play. Fit for a contemporary set-up, the funky Cosmo Megan Series in bright trendy tones would create an effortless style statement. The Bird of Juno wall plate is beautifully carved out in metal, and comes with a hook for ease of hanging. 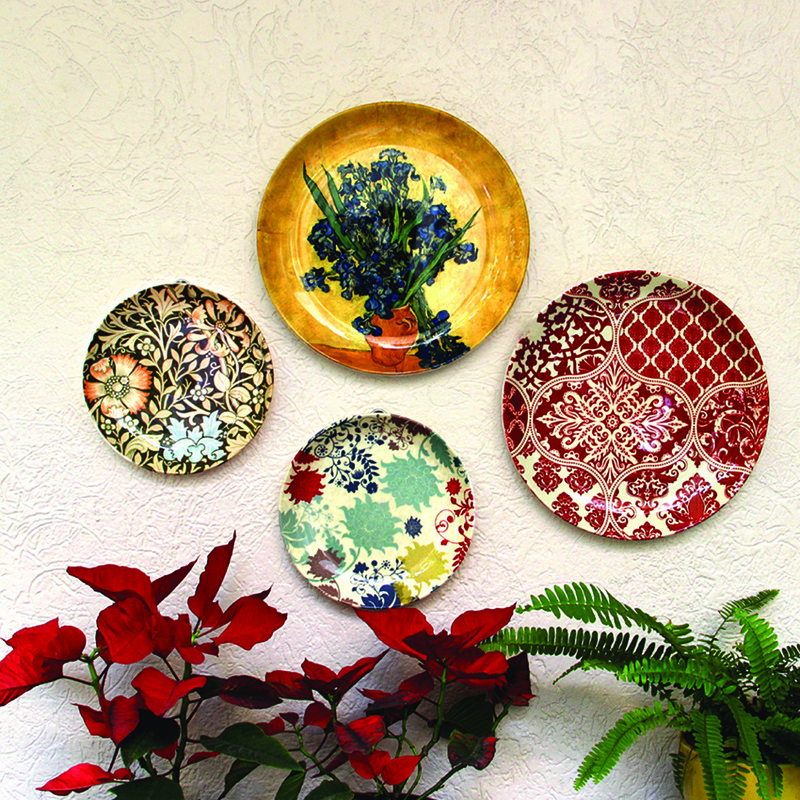 This beautiful Red Motif Wall Plate is accentuated with a mix of Baroque and Persian styles. 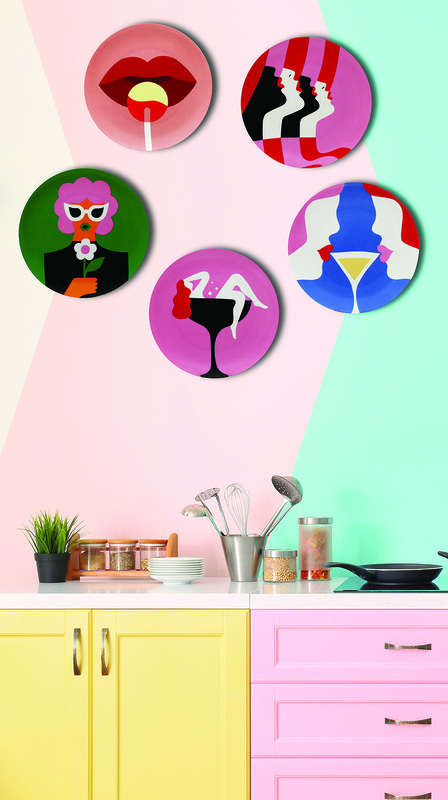 The wall plate is made from ceramic, has digitally-printed design and comes with a hook. Malhaar captures the joyous mood, fresh colours and energy that accompanies rains. It features handpainted cloud patterns in handcrafted blue pottery made from quartz stone powder, powdered glass, borax, tree gum, sodium carbonate and fuller’s earth. 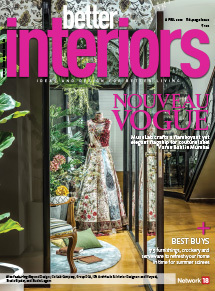 Elevate your living space with this floral etched decorative plate made from marble and adorned with flawless gold and kundan work. 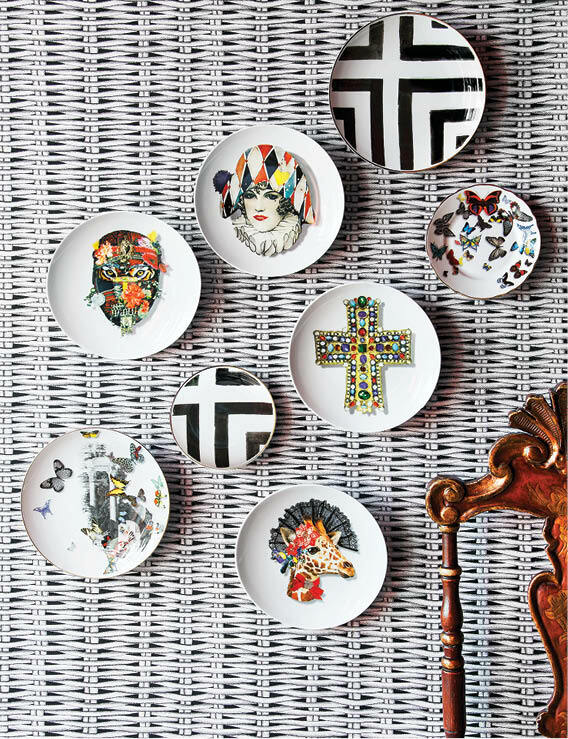 The Love Who You Want gift collection designed by Christian Lacroix made in porcelain intermingles contemporary and haute couture designs. 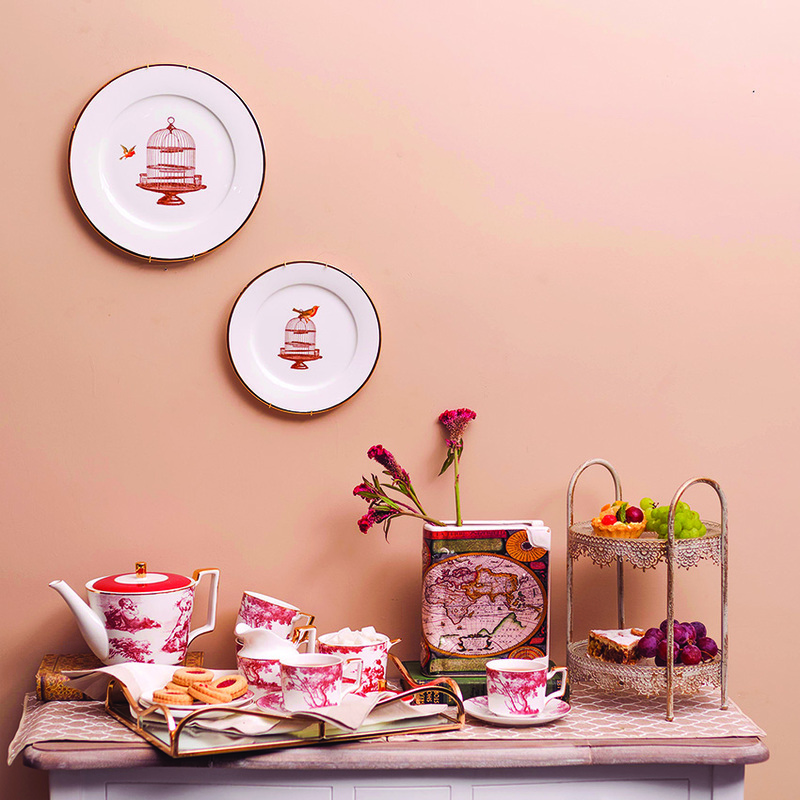 The designs represent exuberant and extraordinary personalities such as Mister Tiger or Dono Jirafa clearly illustrative of the unique imagination of the French brand. 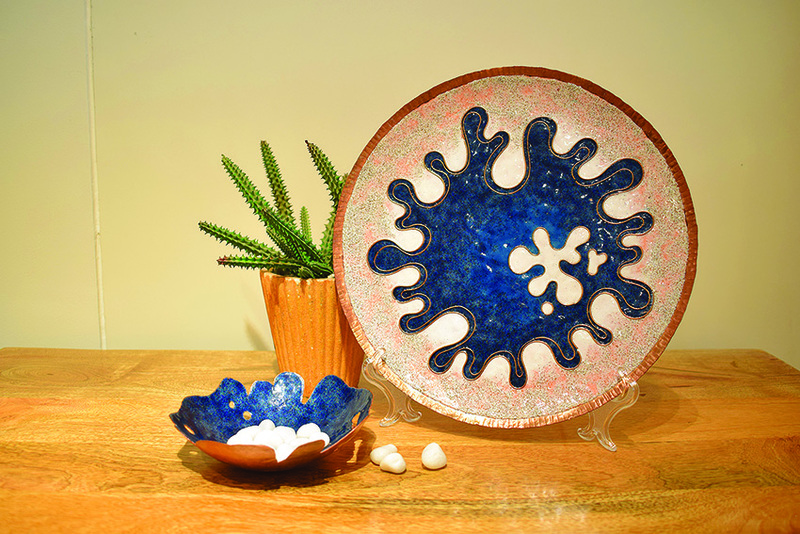 The Maastricht plate is inspired by the circle of bloom. 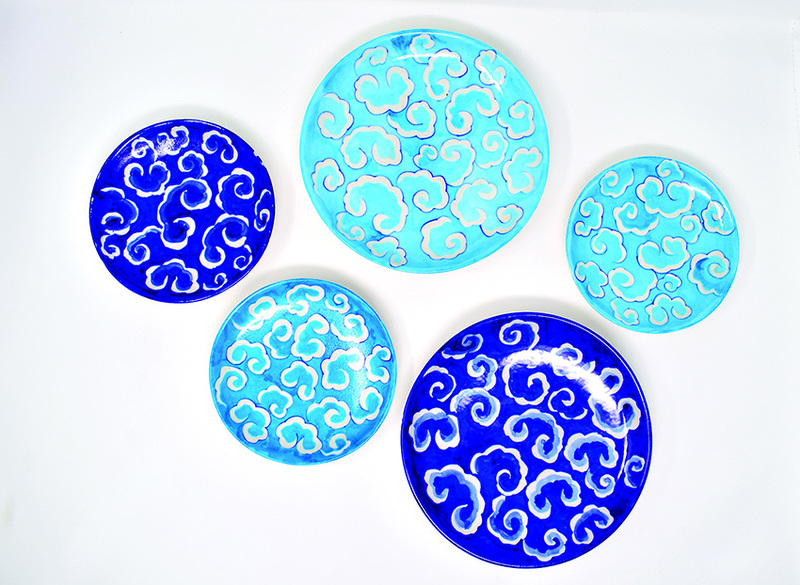 Crafted from porcelain, and bearing white and cobalt blue hues, the design of leaves on the plate are joined and placed in an unending circle symbolizing eternity. A bird freed from captivity… the Freedom II wall plates crafted in ceramic has a spring mechanism which ensures they stay hung on your walls forever. 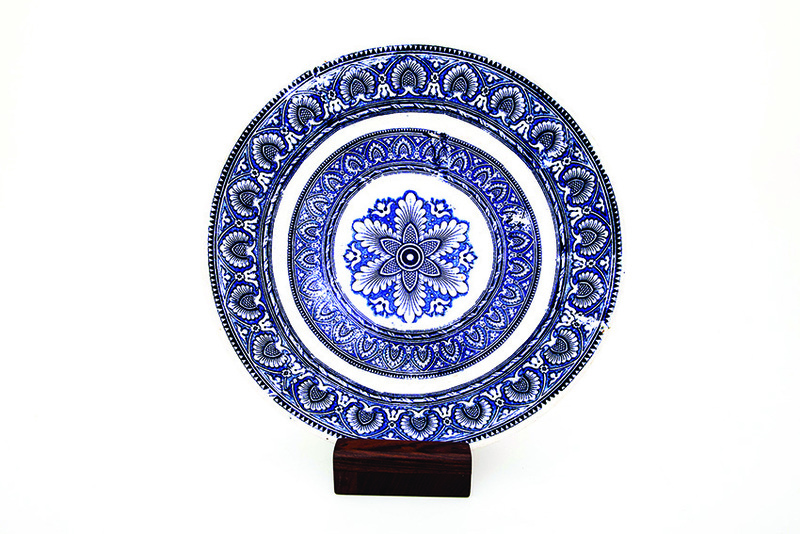 With its intricate craftsmanship, this gorgeous Turkish plate is crafted from ceramic and is glazed using a technique which was developed in Anatolia, and was perfected during the Ottoman Empire. 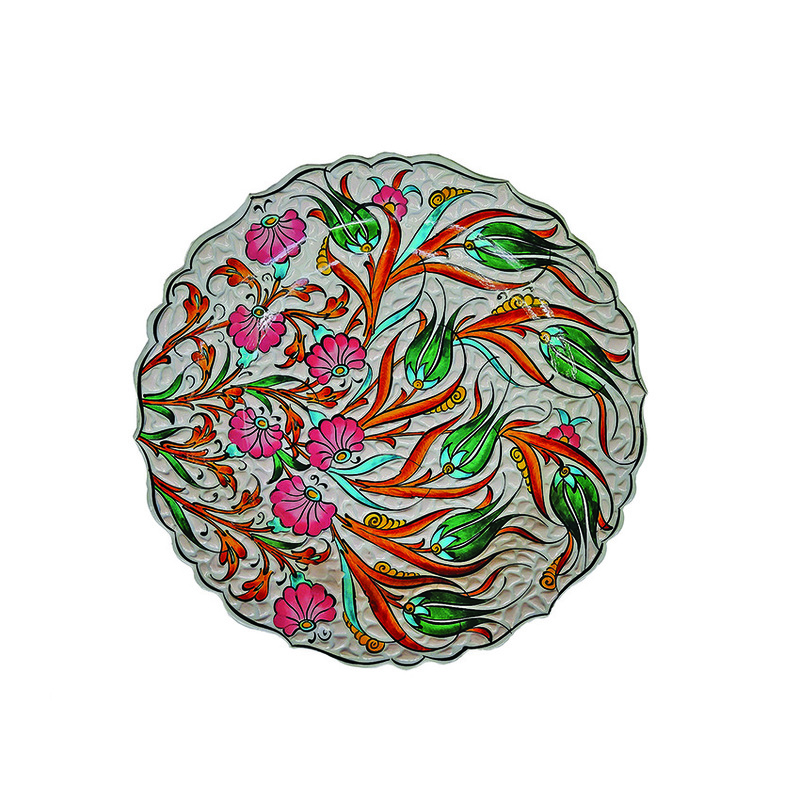 Known as Iznik ceramics, it is made in Turkey and features motifs that are traditional Ottoman. 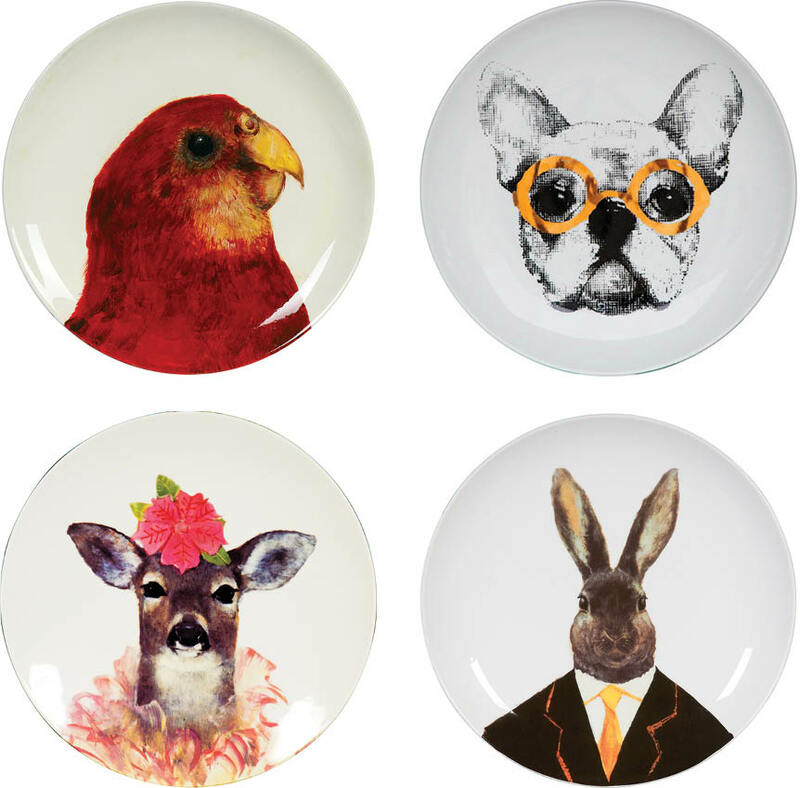 Contemporary and unique, the subjects of the Hooman collection — handpainted plates crafted from ceramic and fibre — are animals and birds in a quirky avatar. 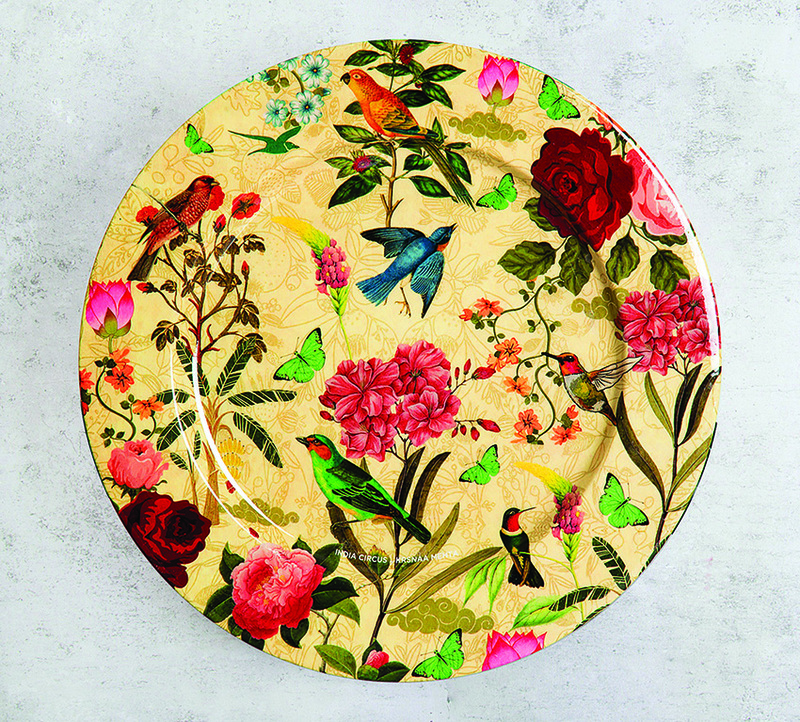 With an elegant beige backdrop the Bird Land Decor Plate made from iron captures a paradise of birds and flowers in vibrant hues. Showcasing influences from the depths of the aquatic world — borrowing from its cool colours, unpredictable forms and textures — this range of copper enameled wall plates will bring in the oceanic drift right into your home. 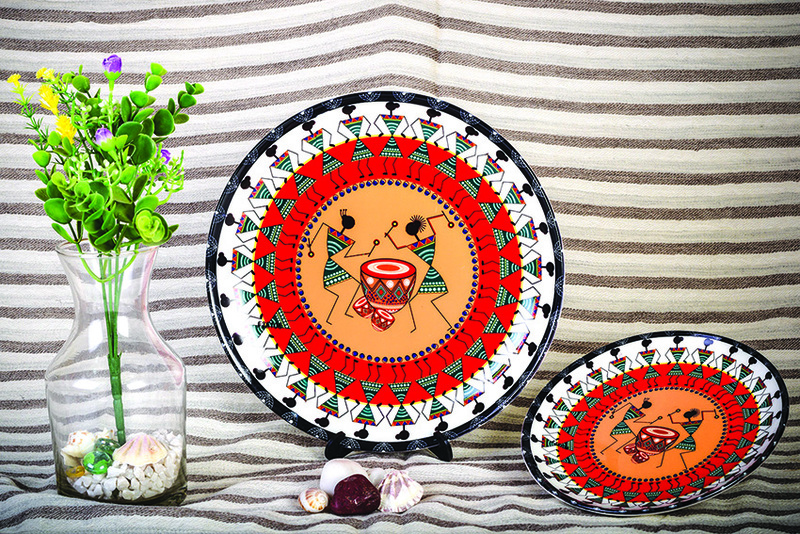 The striking designs of these Deco Ceramic Plates are made from fine bone china and are inspired from Warli painting which depicts the way of life and expressions of the people with vivid and fluid line work. 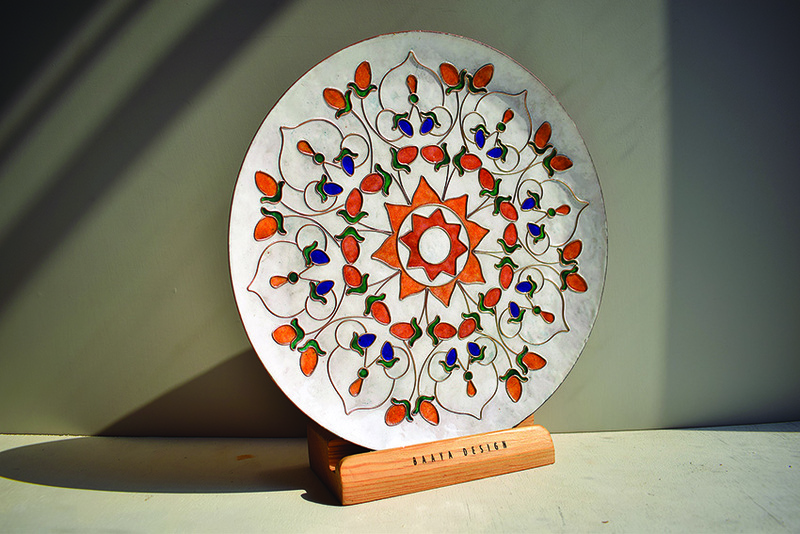 Taking inspiration from the resplendent marble inlay work seen on the walls of the Taj Mahal, the brand has used the enameling process to create a range of copper wall plates. 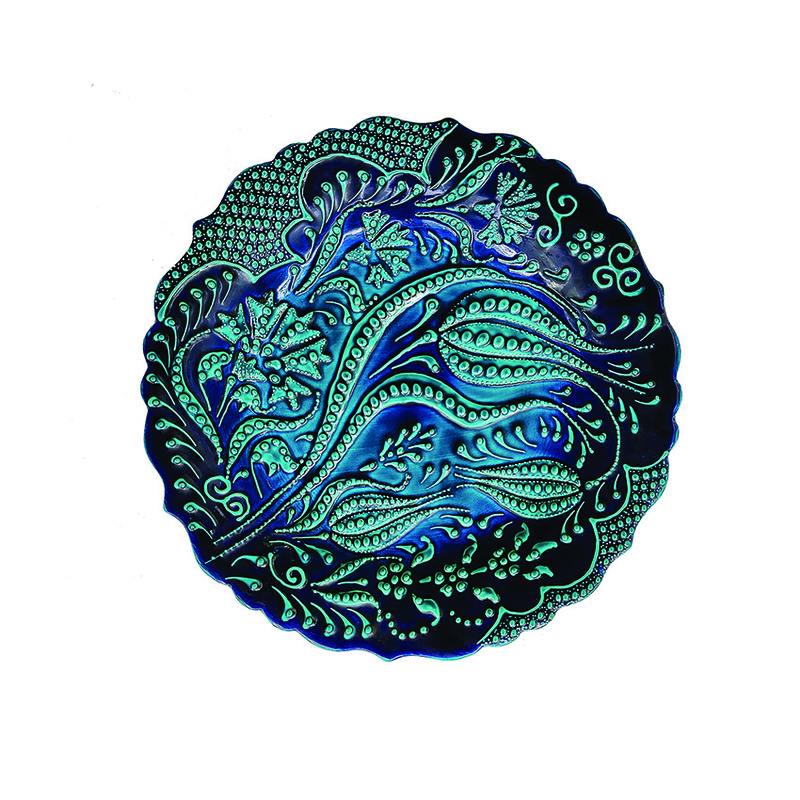 Redecorate your living room or bedroom wall with this charming pristine Turkish blue wall plate which is made from ceramic and is glazed to keep it safe from wear and tear. 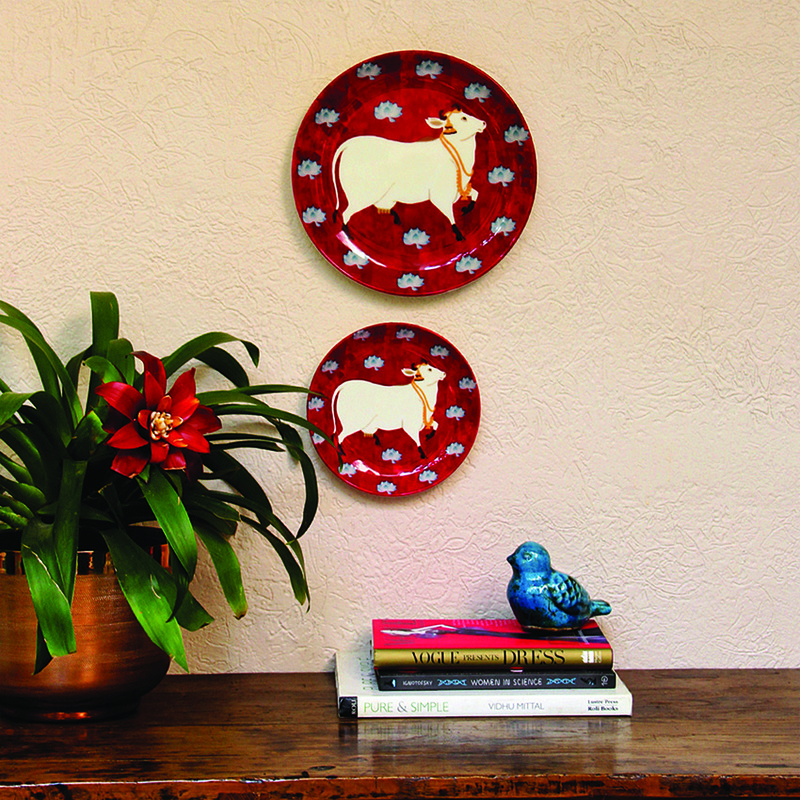 These ceramic wall plates display the mythical Kamdhenu cow in the 18th century Kishangarh-style of painting. The white of the cow stands out against the hot pink background, making it a statement piece. 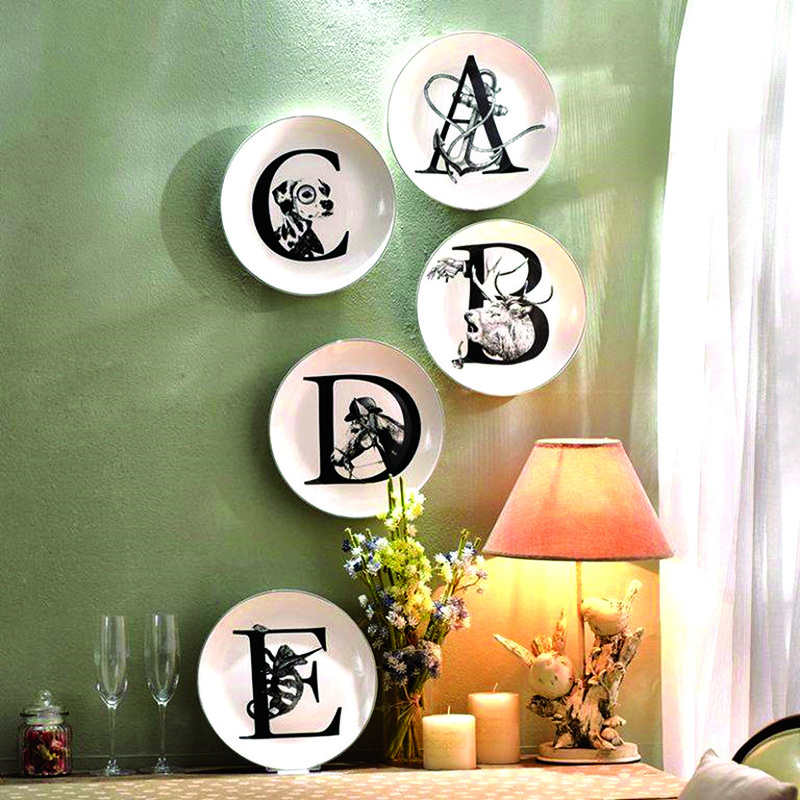 The Alphabet 5 Plate Wall Collage in black and white hues is modern and eye-catching… fit for a focal point in your living spaces. 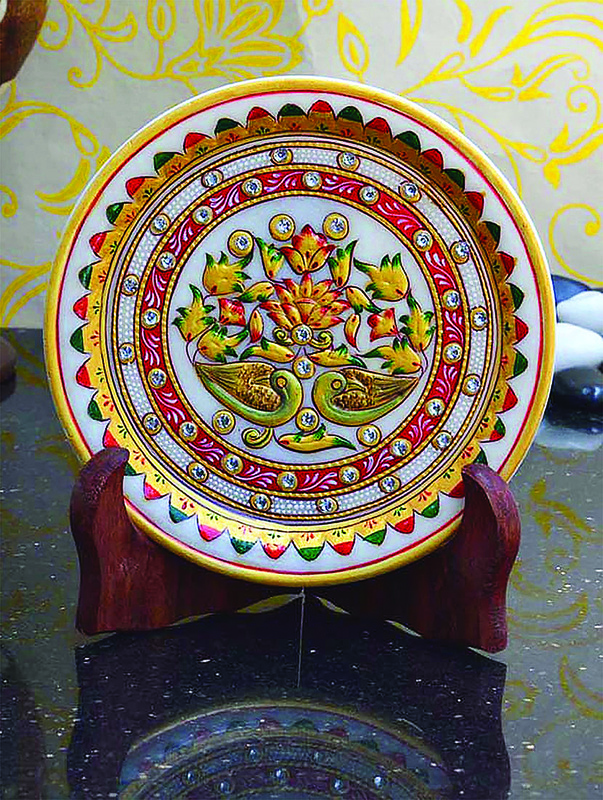 This eye-pleasing wall plate has hand-painted carvings which are completed with ceramic finish and colour themed in yellow, red and brown. 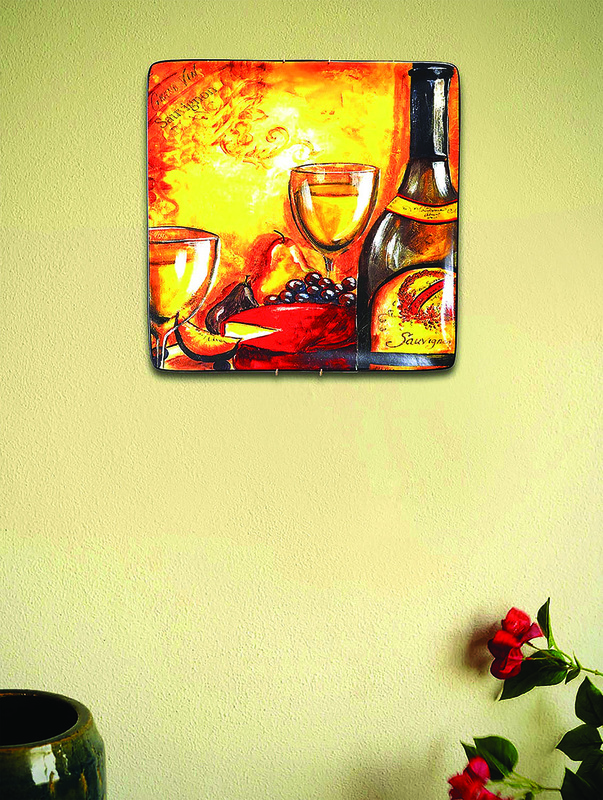 With an aim to make it an ideal wall piece for the dining area, the designs of the food and drinks are digitally-printed on the wall plate. 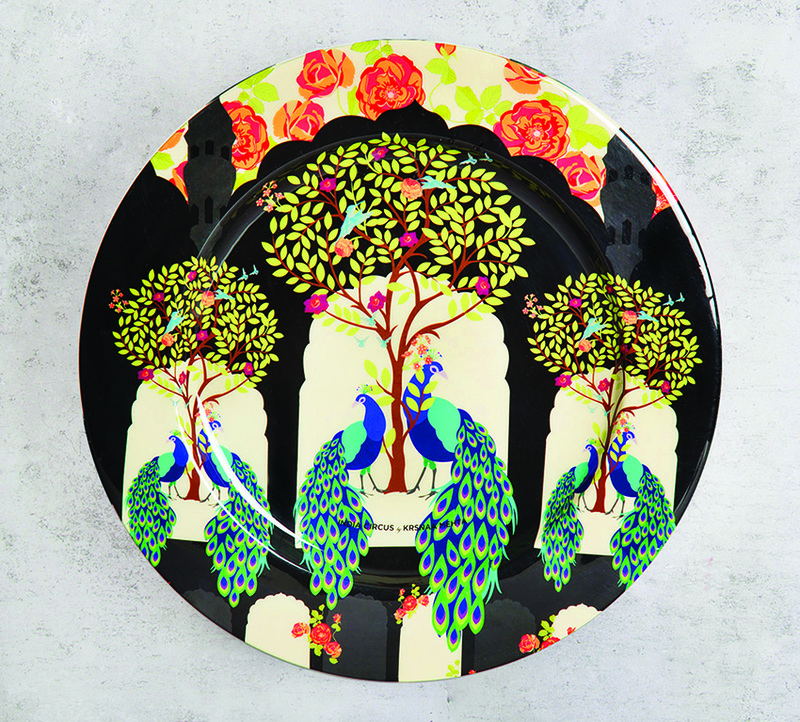 Pichwai, designed by brand Cult Curio is a set of five — three with soft floral motifs, one featuring Lord Shrinathji, and one with the mythological Nandi — multi-coloured printed decorative wall plates made from bone china. The Easter Egg Hunt collection stands for their inherent promise of mystery and celebration and is sought after avaricious and curious monkeys. 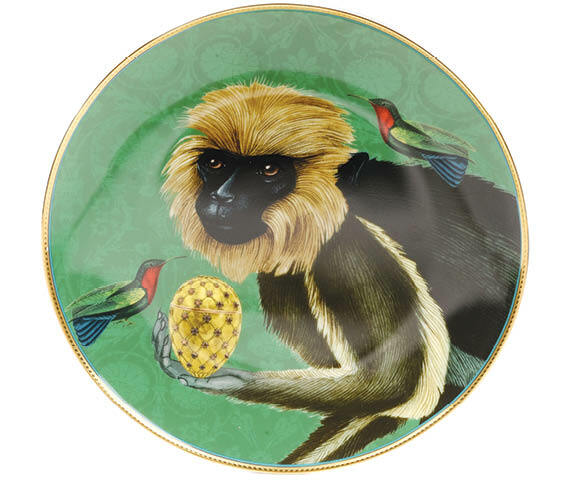 Part of the collection, this whimsical Green Monkey Show Platter is made from bone china.